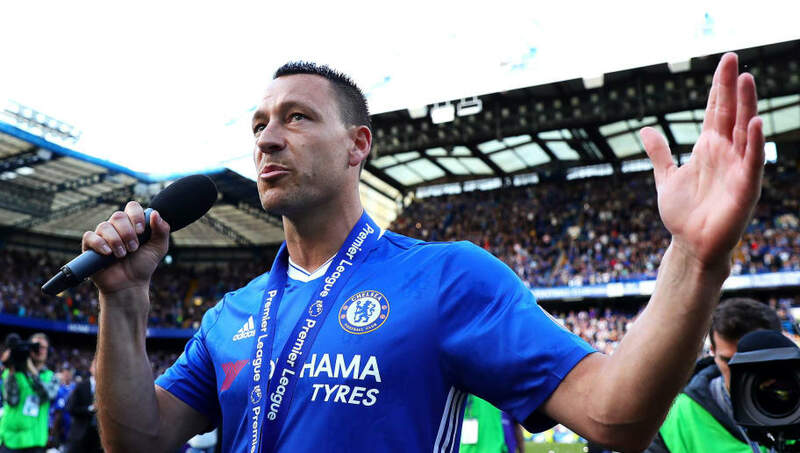 Chelsea boss Maurizio Sarri has let club legend John Terry know that he would welcome his return to Stamford Bridge as a coach. The former Blues captain spent last season in the Championship with Aston Villa and is currently a free agent. After revealing that he turned down an offer to join Russian side Spartak Moscow, it's still unclear what he intends to do next. Sarri, who took over from Antonio Conte earlier this year, spoke to reporters ahead of Chelsea's Premier League clash with Cardiff this Saturday and claimed the defender is welcome to join his coaching staff. ​“The last time I have spoken with him, he told me that he wants to play for another season,” the Italian said, via The Telegraph. “But I don't know now the situation. I am talking about a week ago. “Chelsea is his home, of course. I’m open to the idea of course. For sure, he will be a point of reference for me. For everybody here, I think. “I don't know if there is a chance. He told me a lot of things, that he wants to play. I don't know. I'd have to speak to him. While he would welcome Terry's return to the club, Sarri has ruled out the 37-year-old coming back in the capacity of a squad member. “I think in the coaching staff, I think,” he explained. “Because, as I said before, I want to give space to the young players. Fortunately, we have very strong young players: Loftus-Cheek, Hudson-Odoi, Ampadu... and I'd like to give them the right space. "Here is John Terry's home. So he will be very important for everybody here. Only his presence.